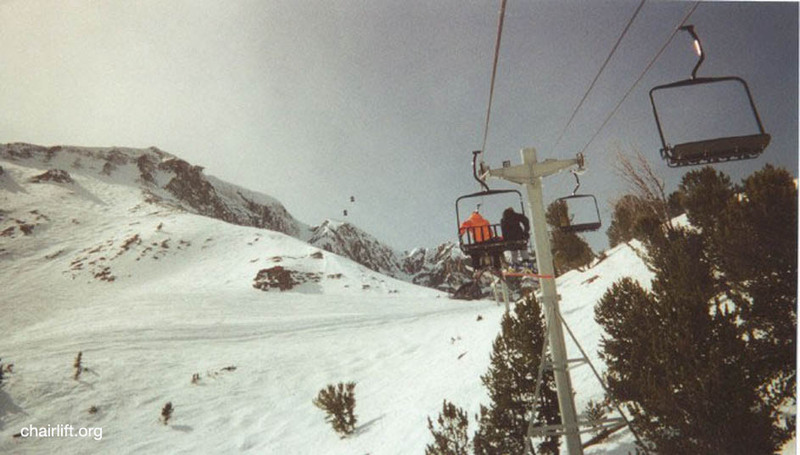 base area. 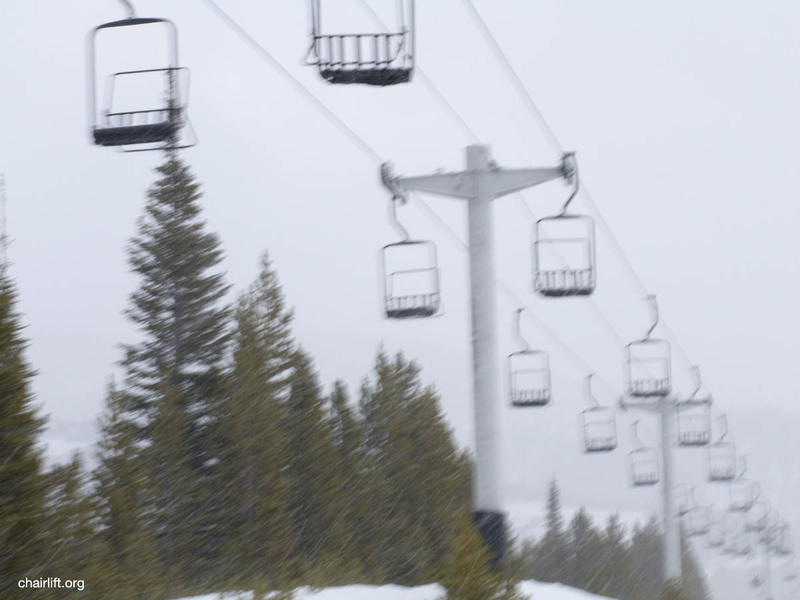 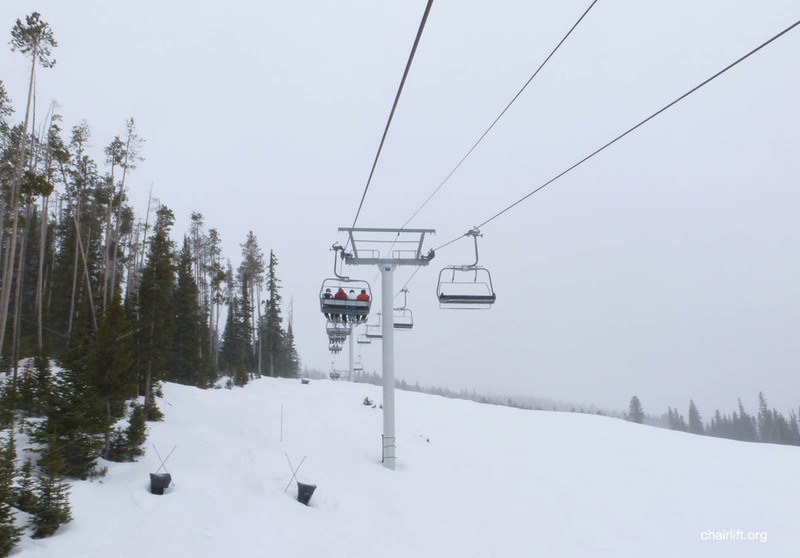 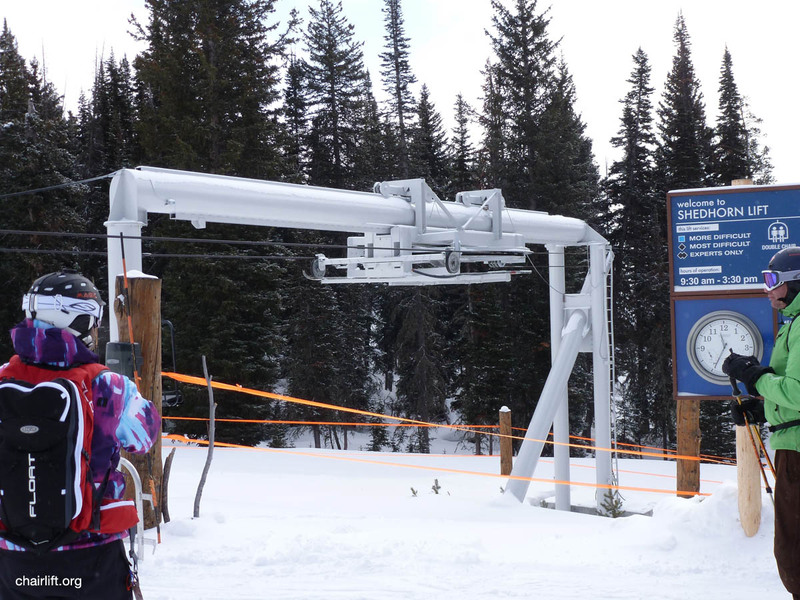 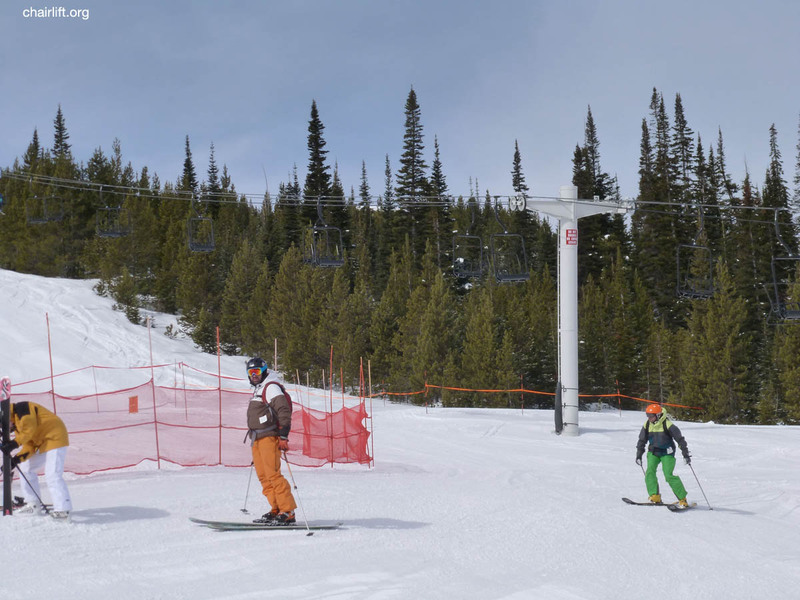 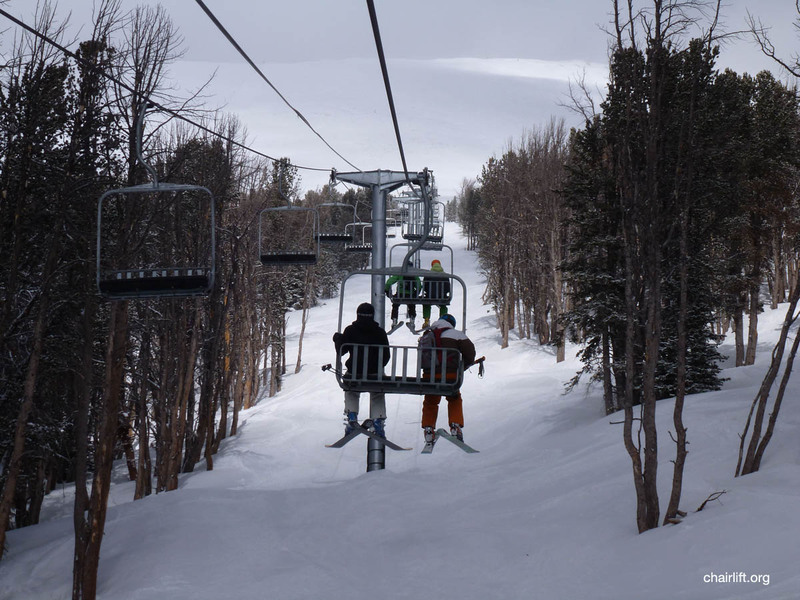 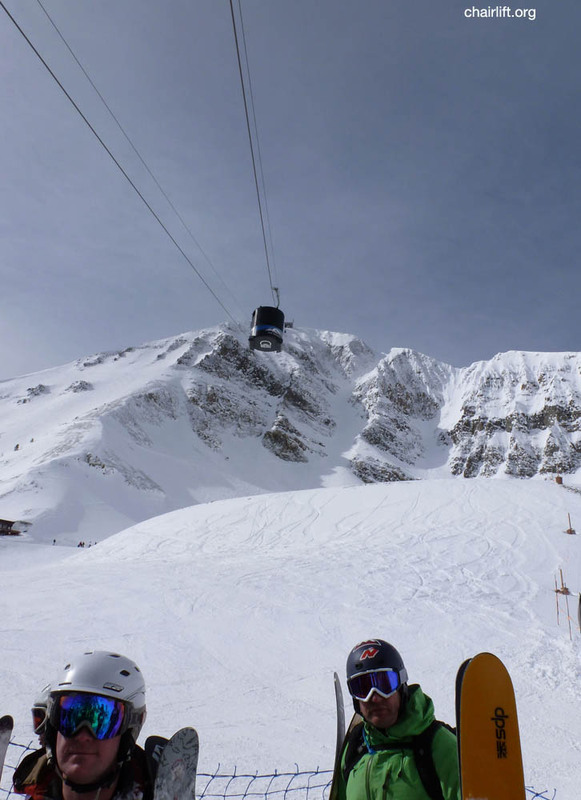 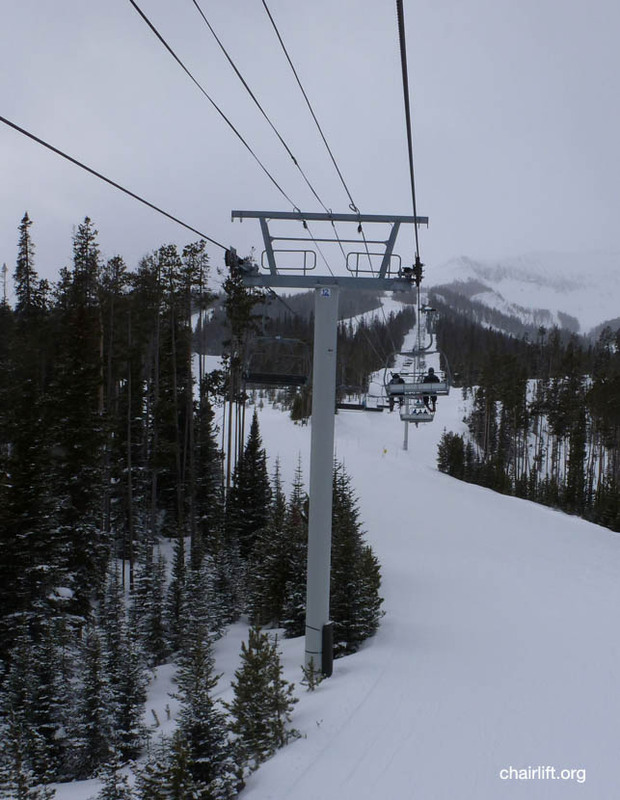 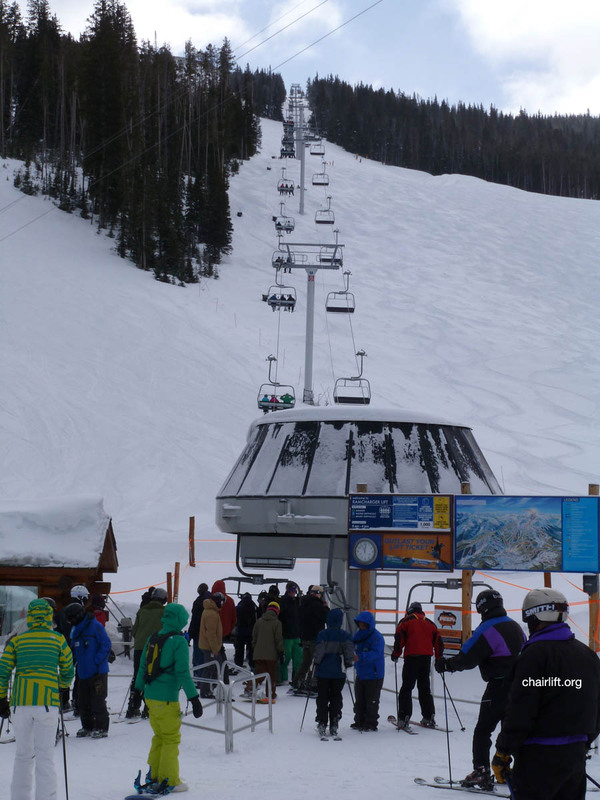 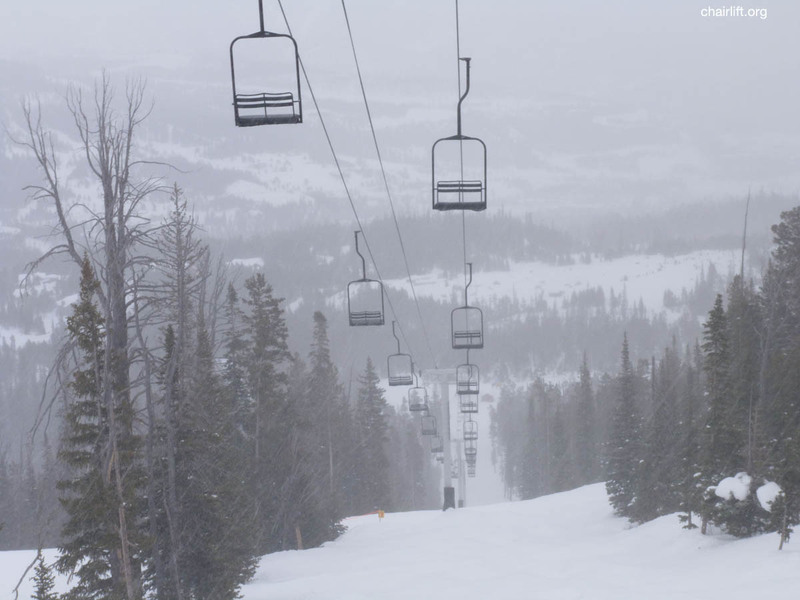 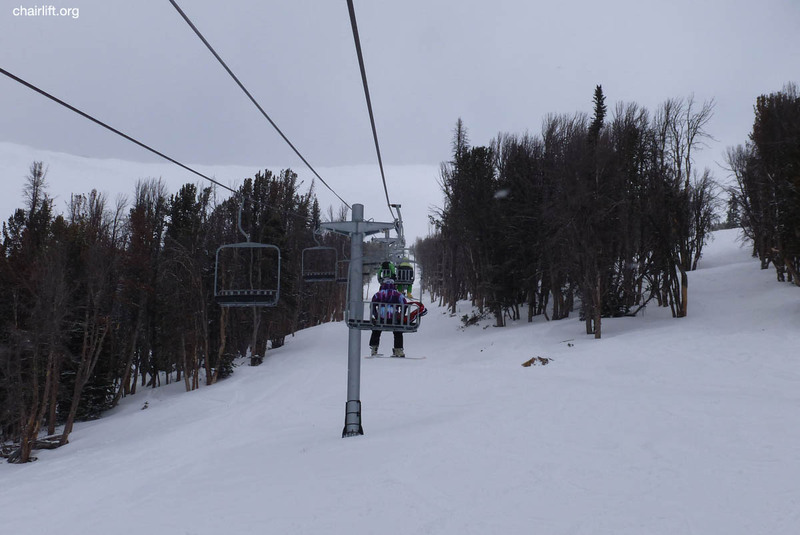 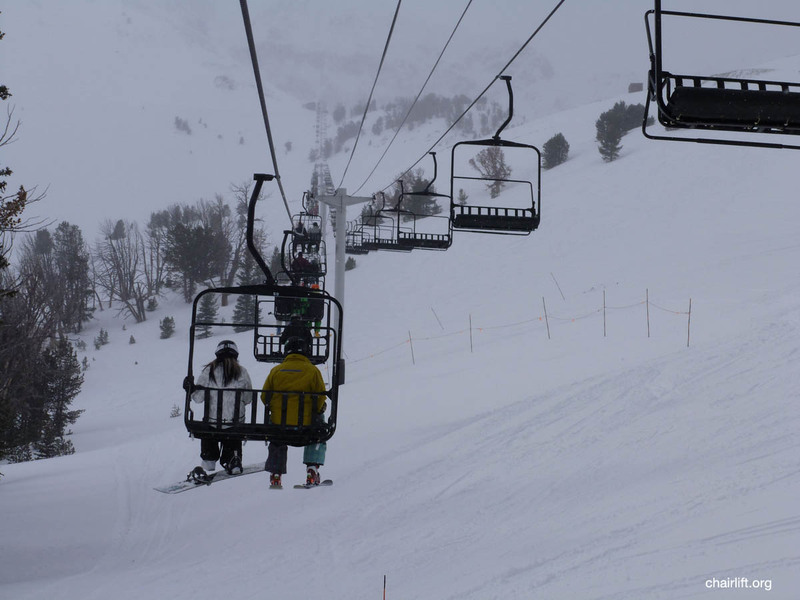 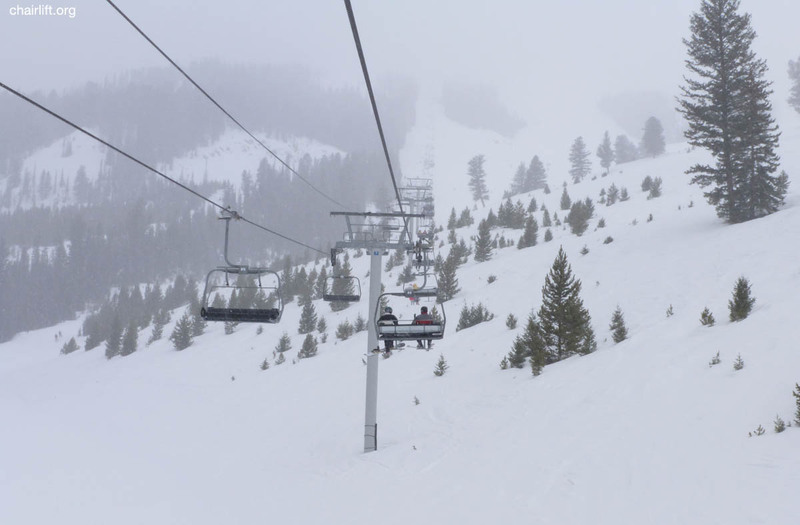 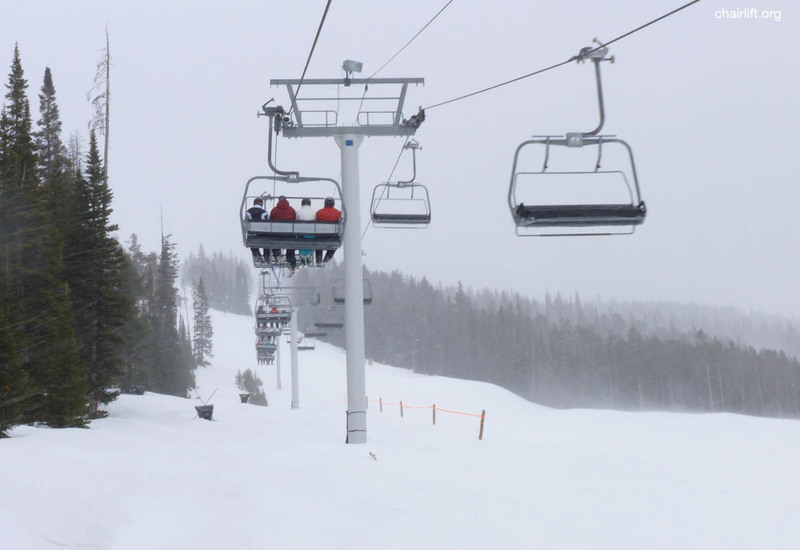 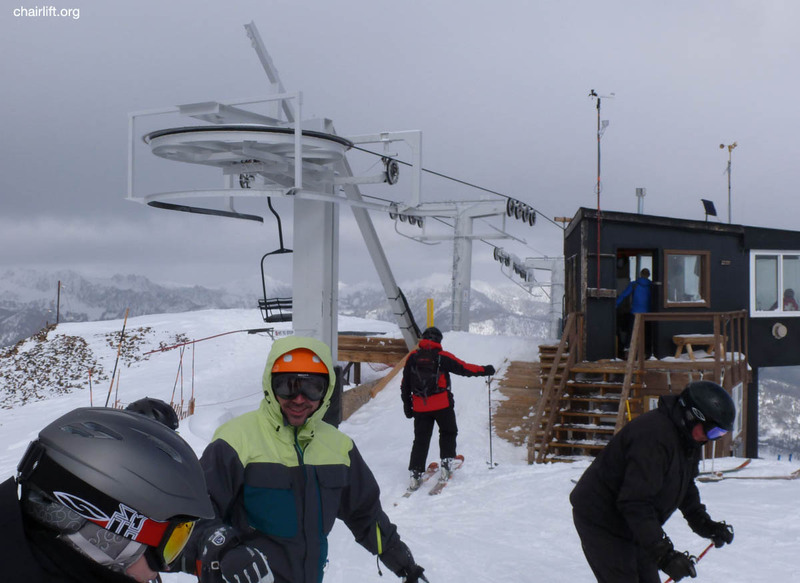 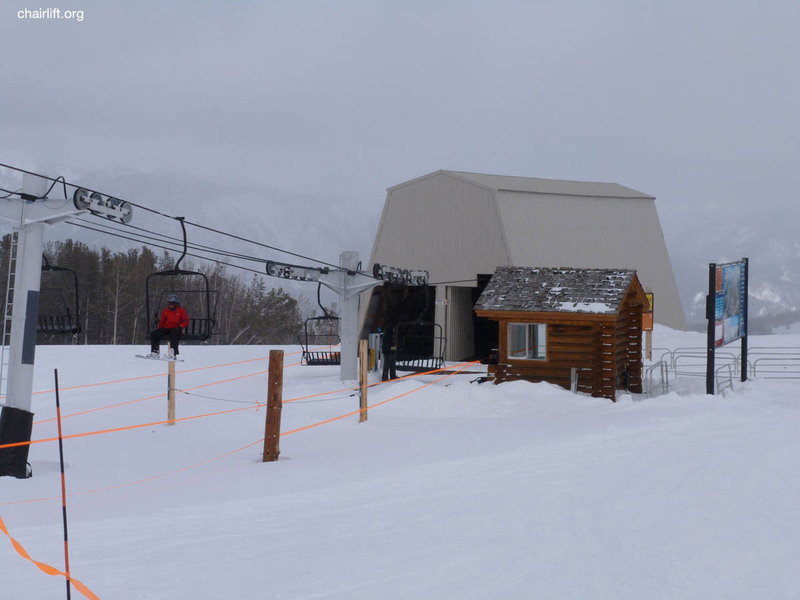 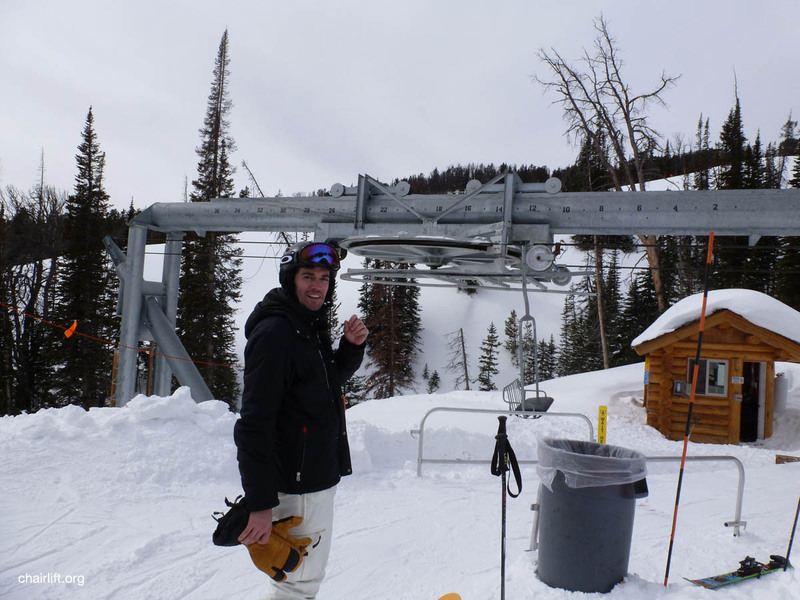 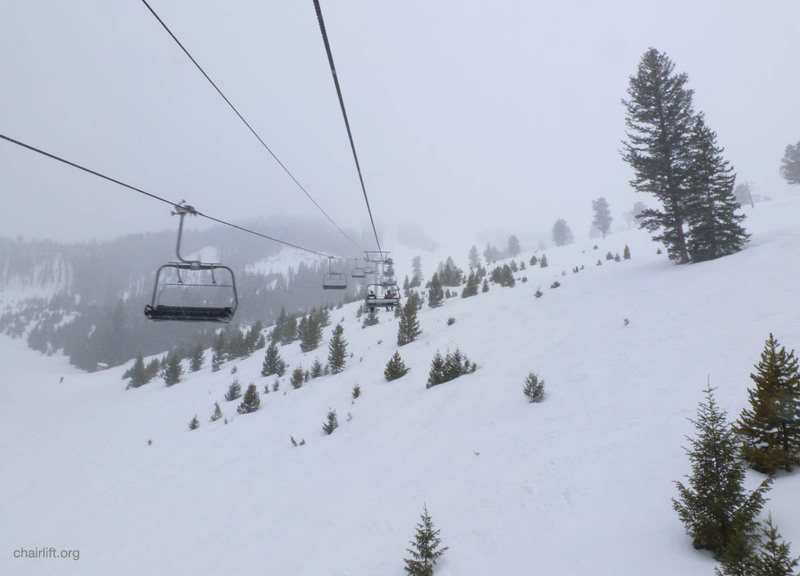 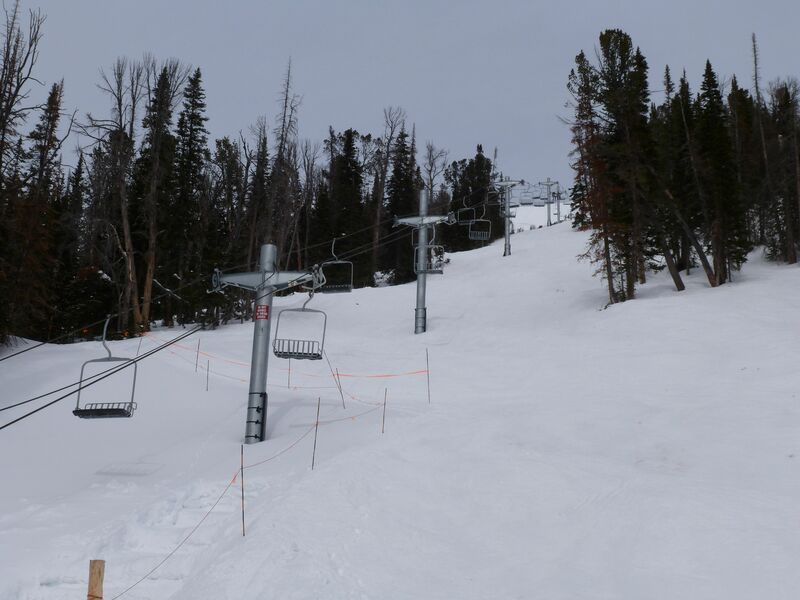 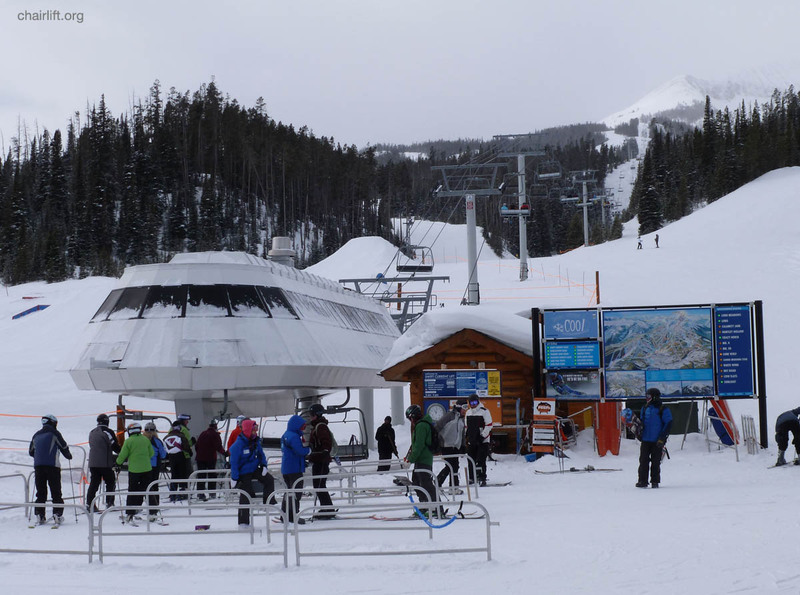 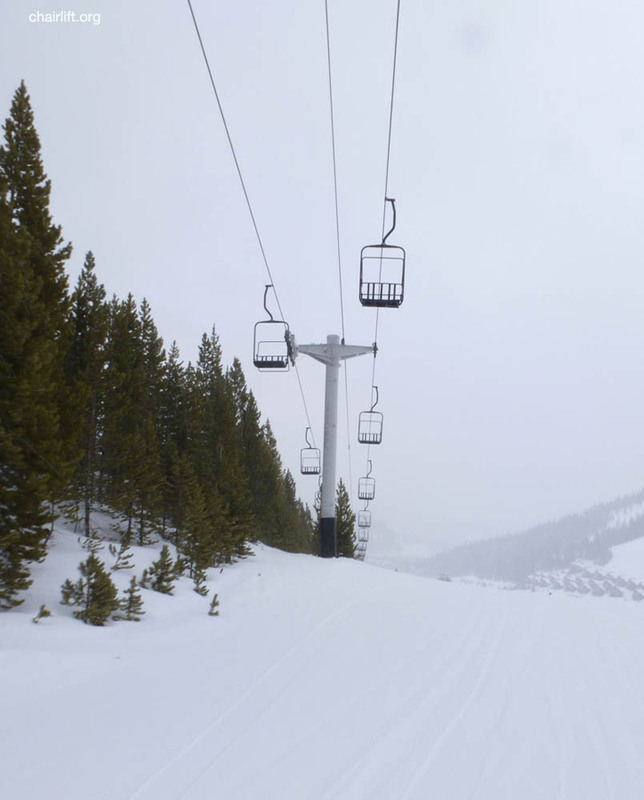 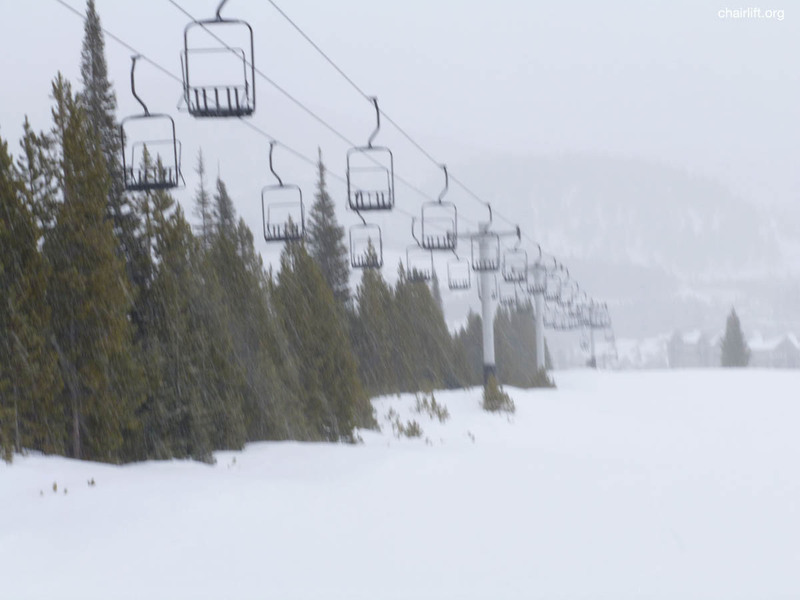 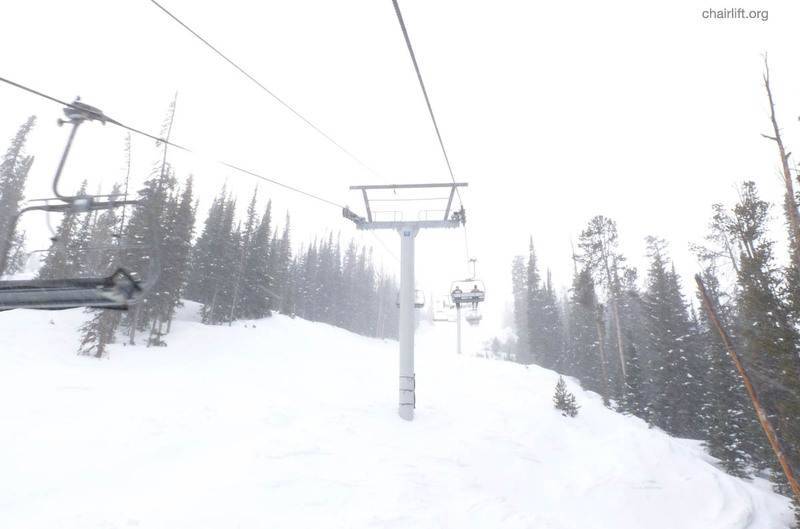 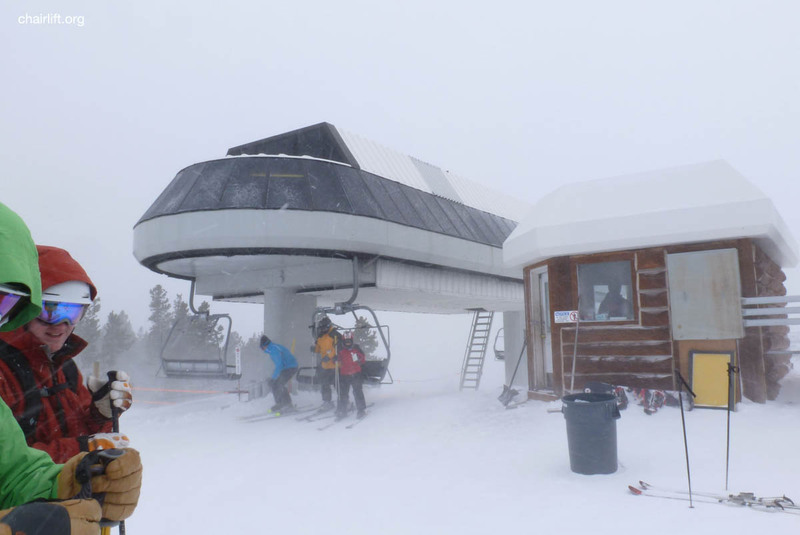 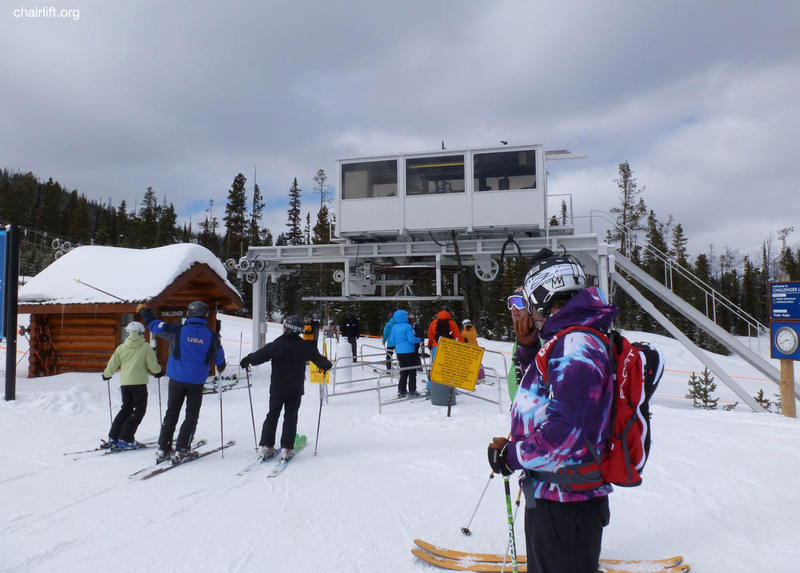 It services beginner terrain and provides access to the Challenger lift. 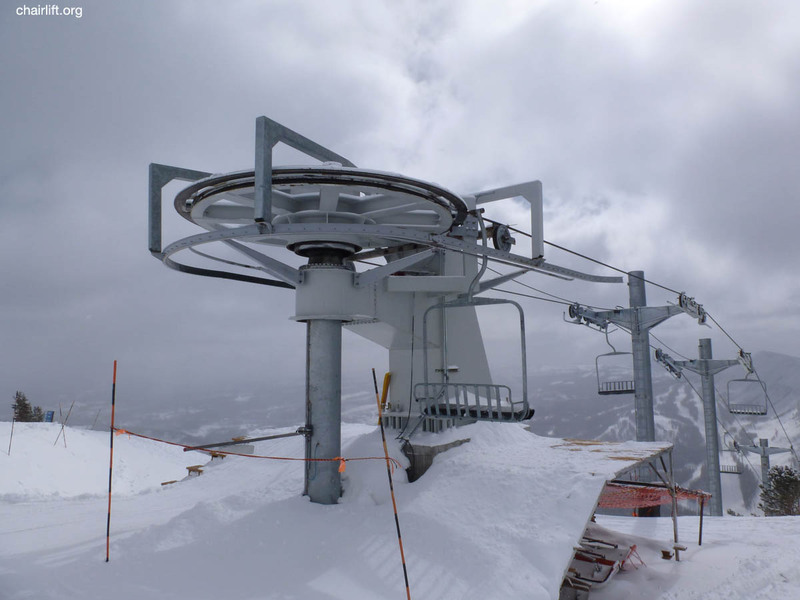 still provides parts for Heron/Poma and Riblet Lifts. 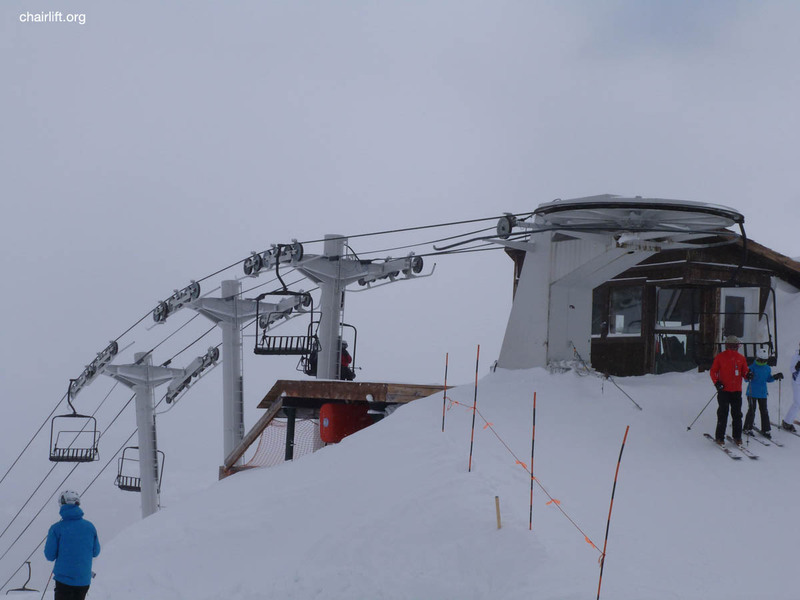 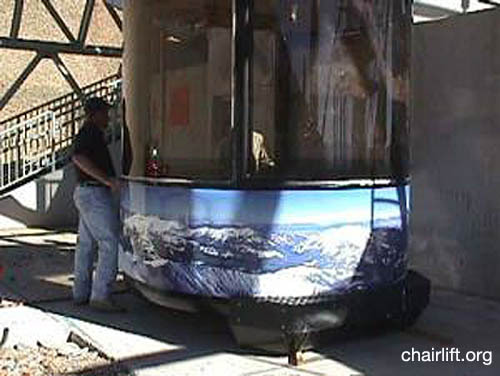 It is said that the chair was upgraded by Superior in 1986.
of the tram this was the mountain's highest lift. 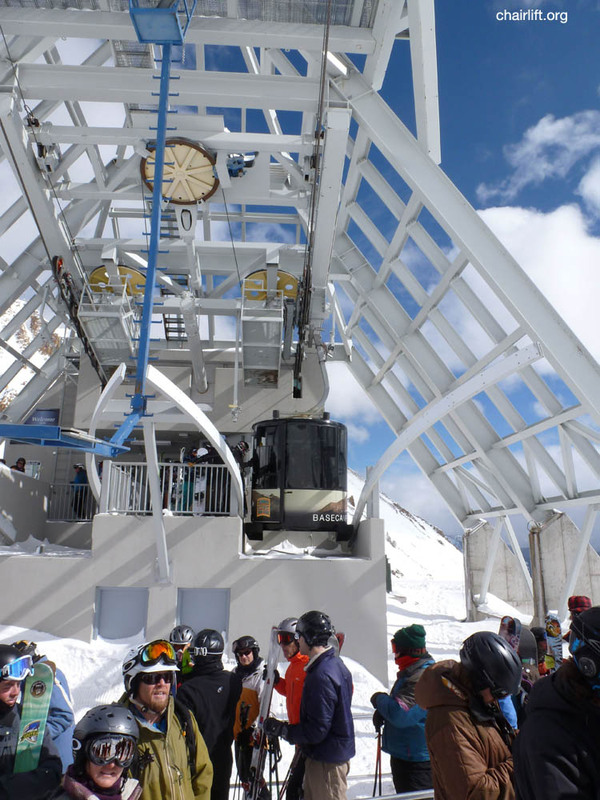 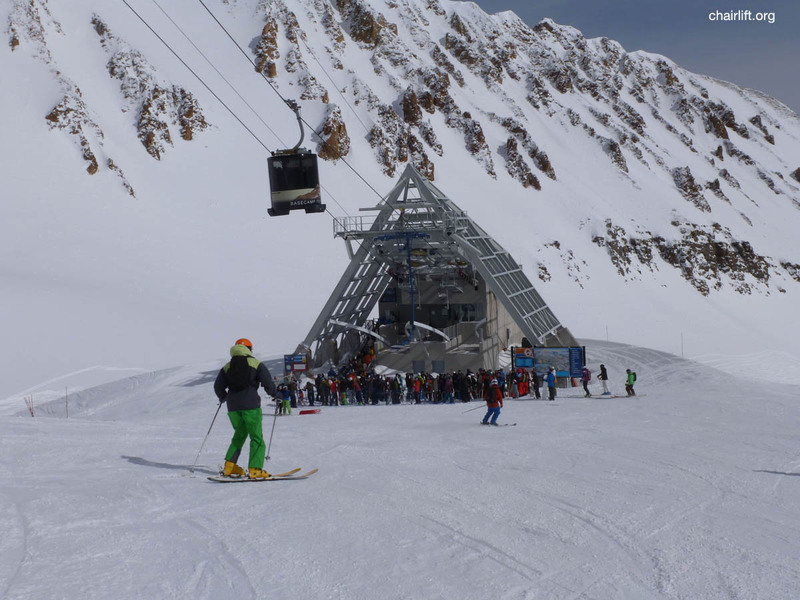 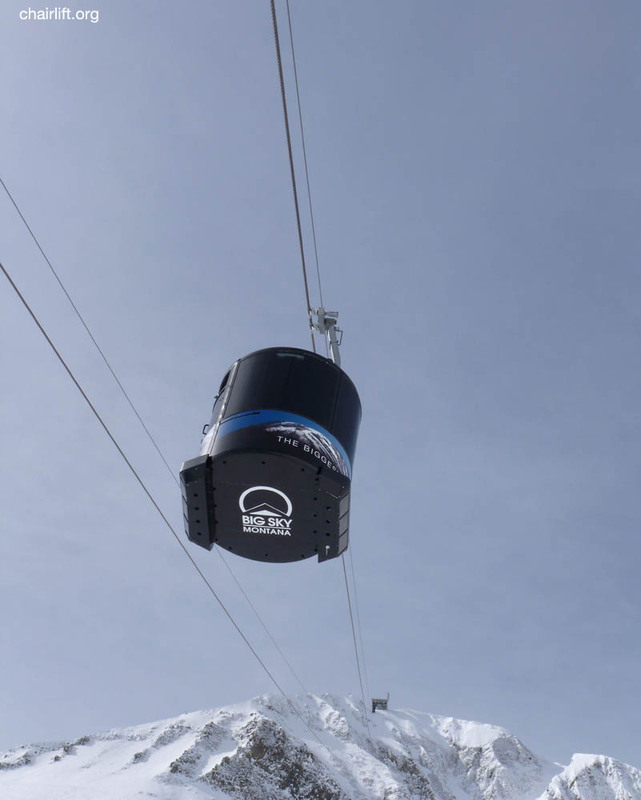 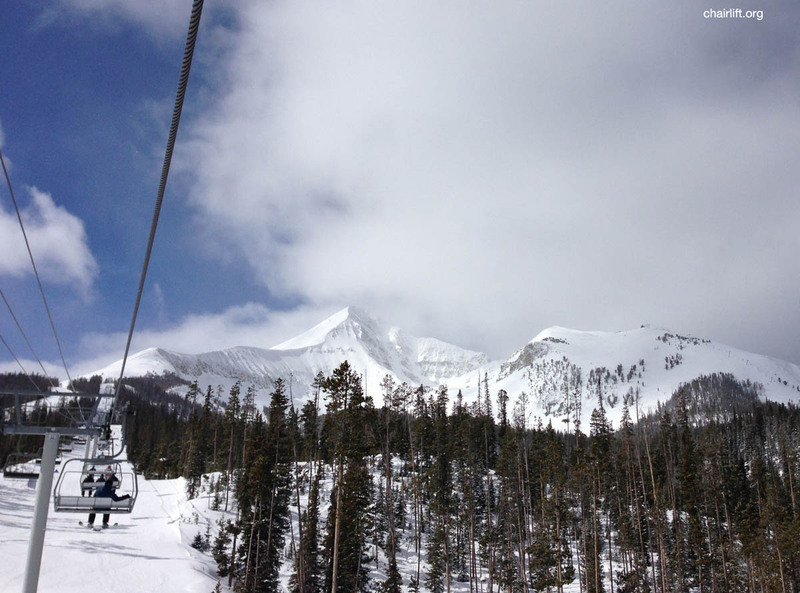 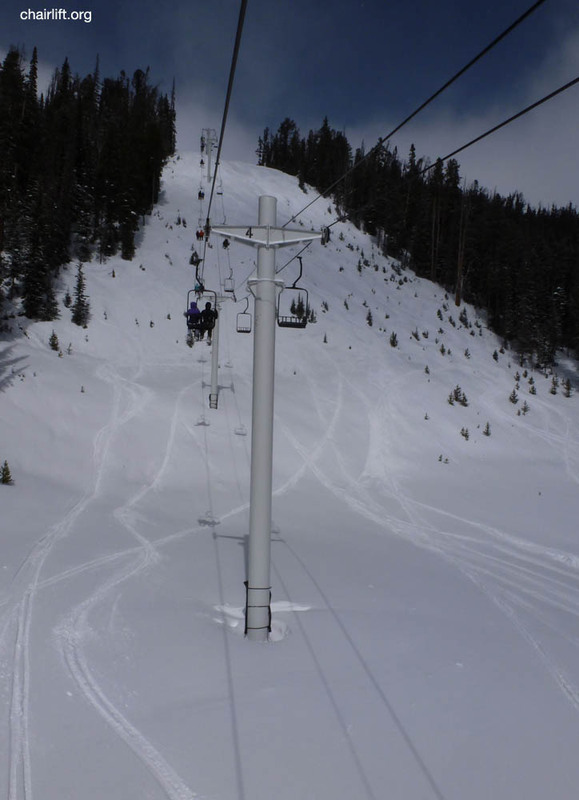 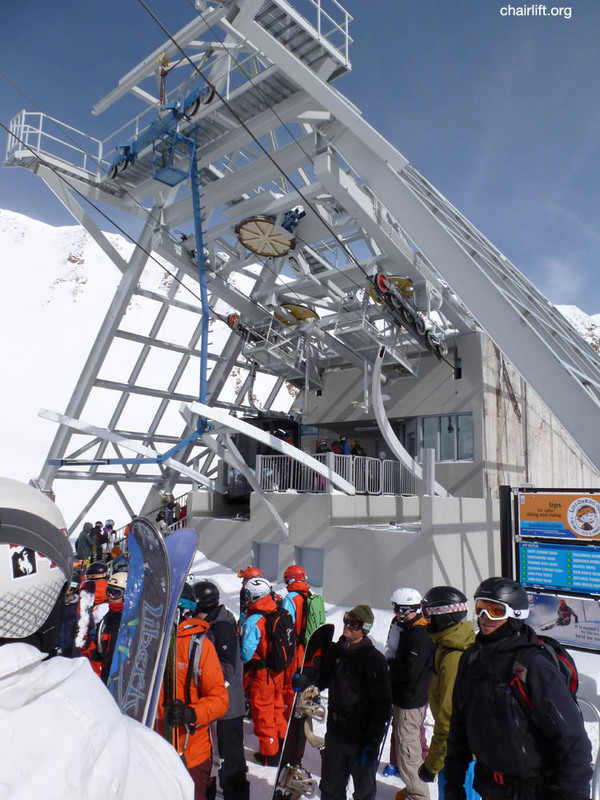 LONE PEAK TRAM (DOPPELMAYR) - This 15 person jig back tram was installed in 1995 to access expert terrain from the summit of Lone Peak for the first time by lift. 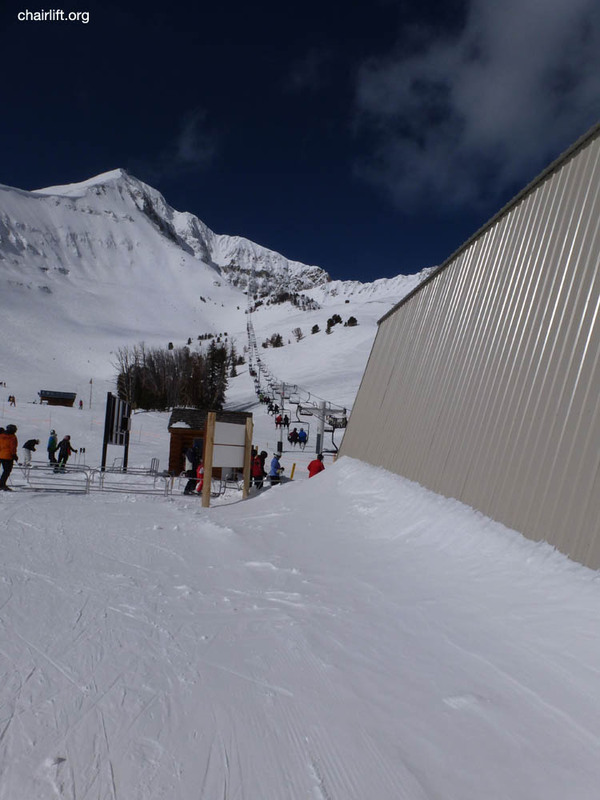 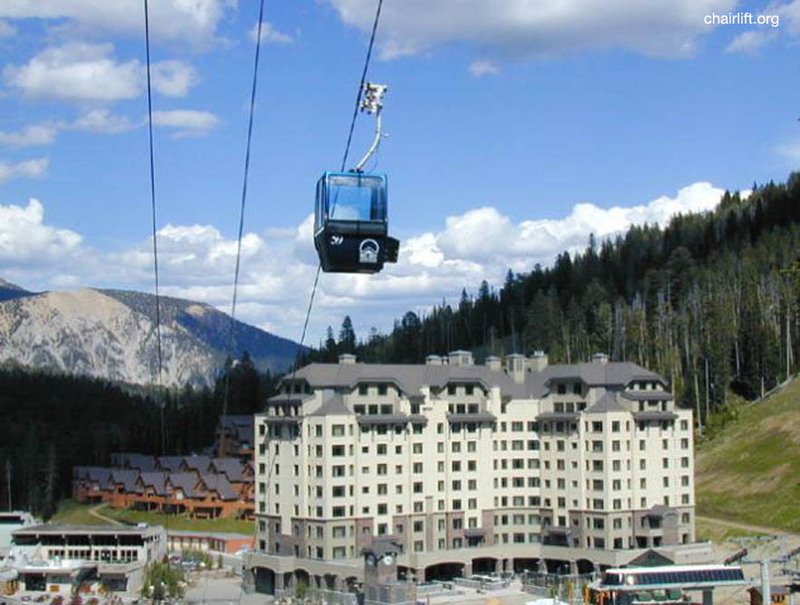 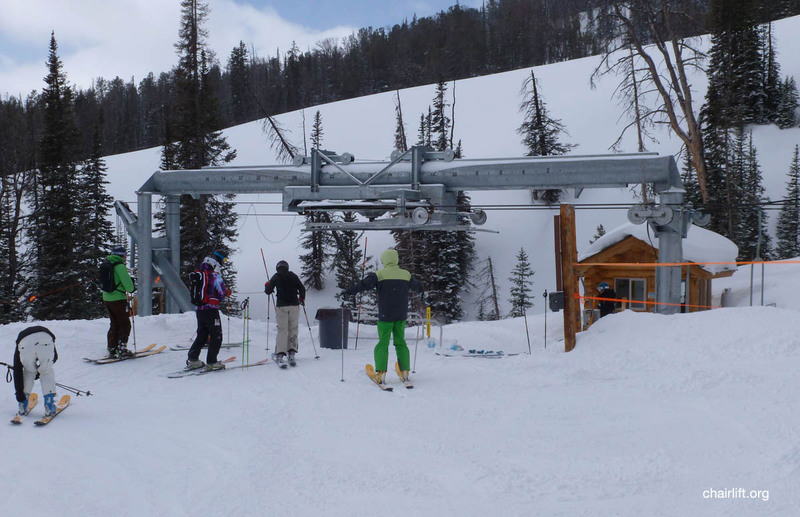 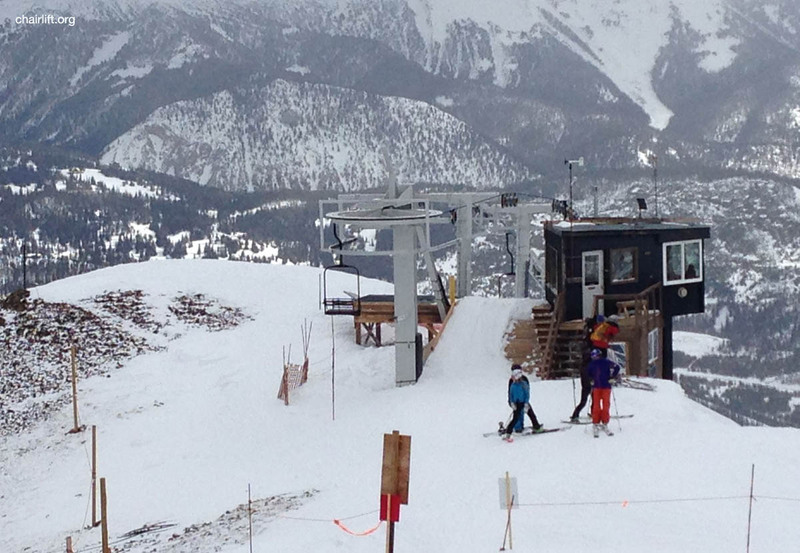 SHEDHORN (HERON/POMA) - Added in the 1995, this lift was originally installed as the Ram's Head lift in 1973. 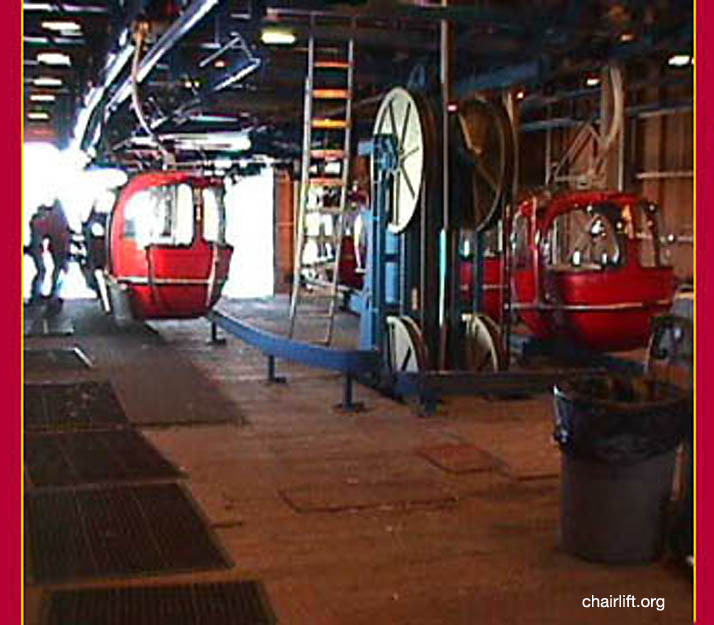 It was re-installed in 1995 to service expert terrain below the "dictator chutes." 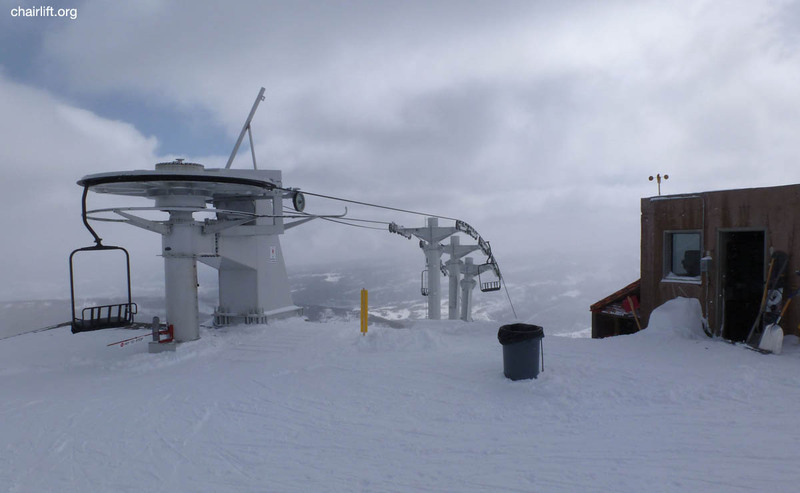 installation, the entire chair was hot dipped galvanized to better stand up to harsh elements. 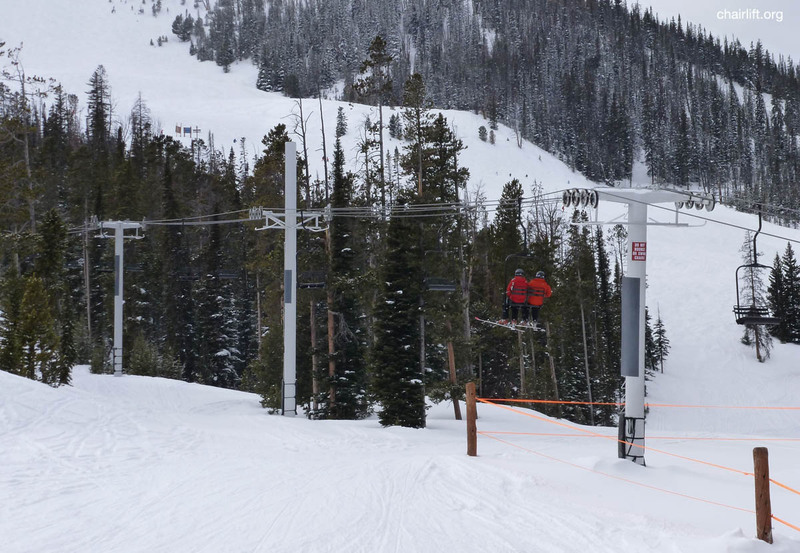 Prior to becomming the Dakota lift this chair was installed as the Southern Comfort Triple in 1991. 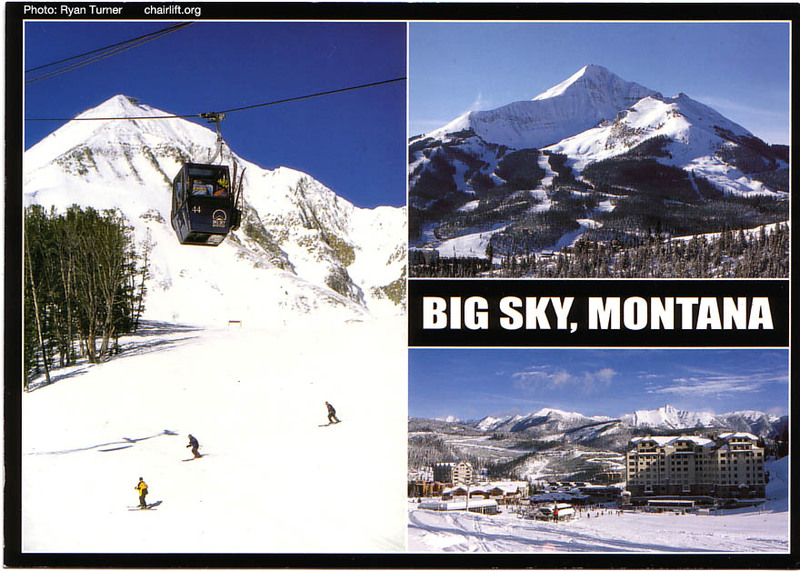 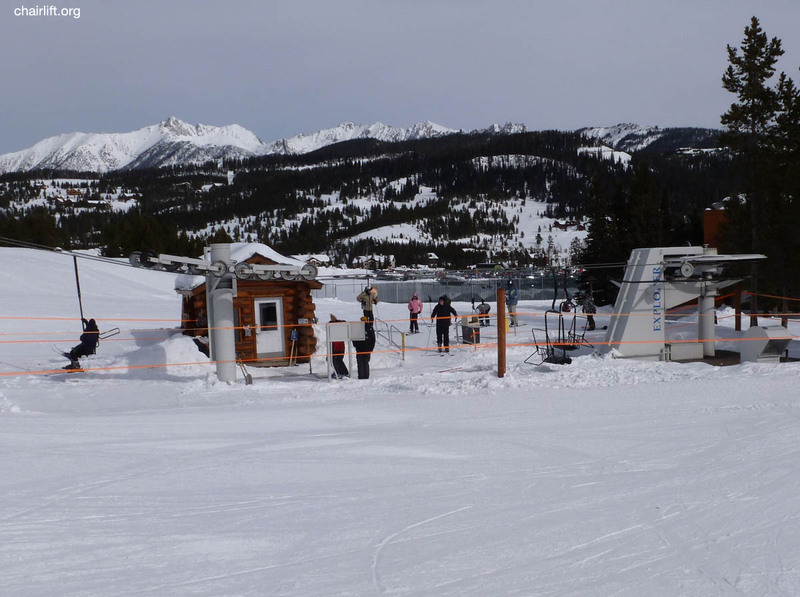 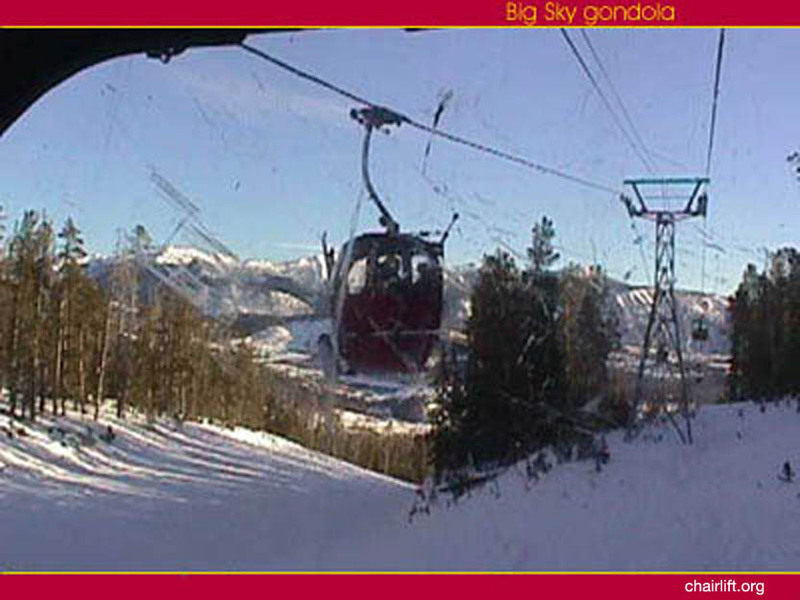 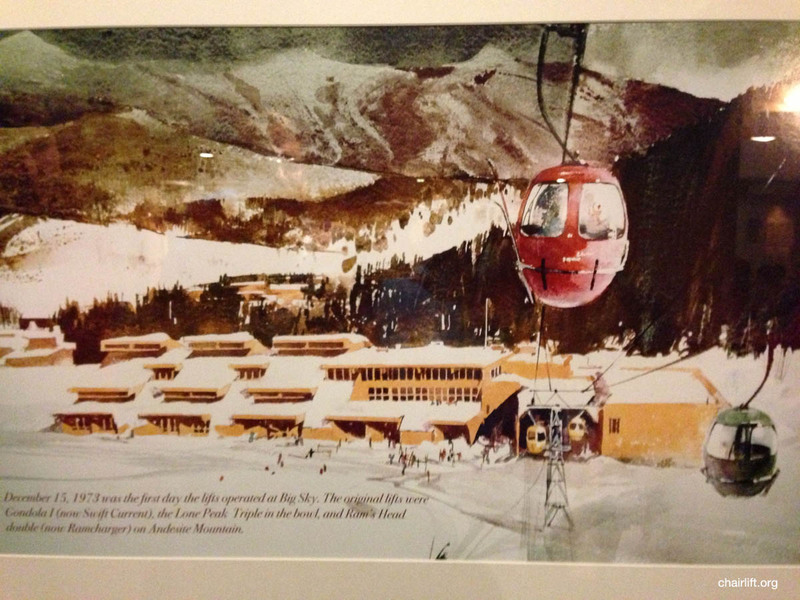 It was purchased used at that time from Copper Mountain, CO. 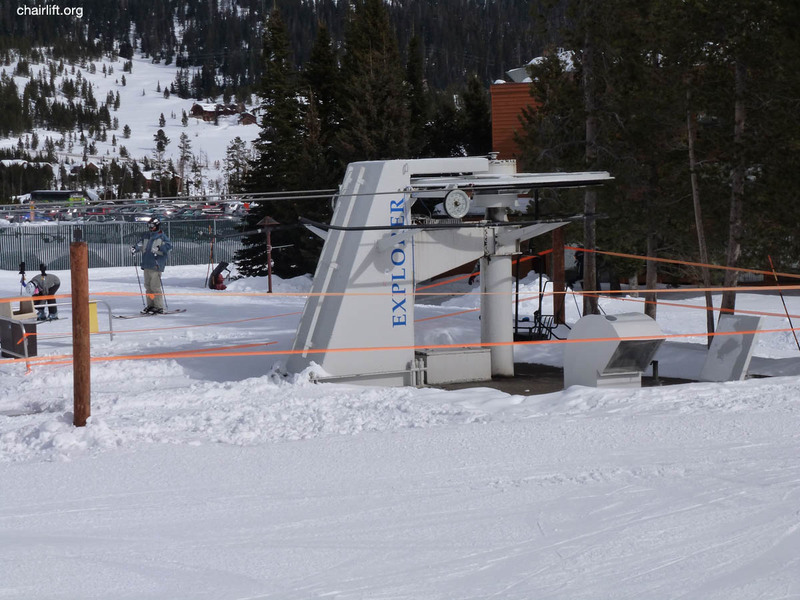 SWIFT CURRENT EXPRESS (DOPPELMAYR) - Built in 1996 to replace Gondola II. 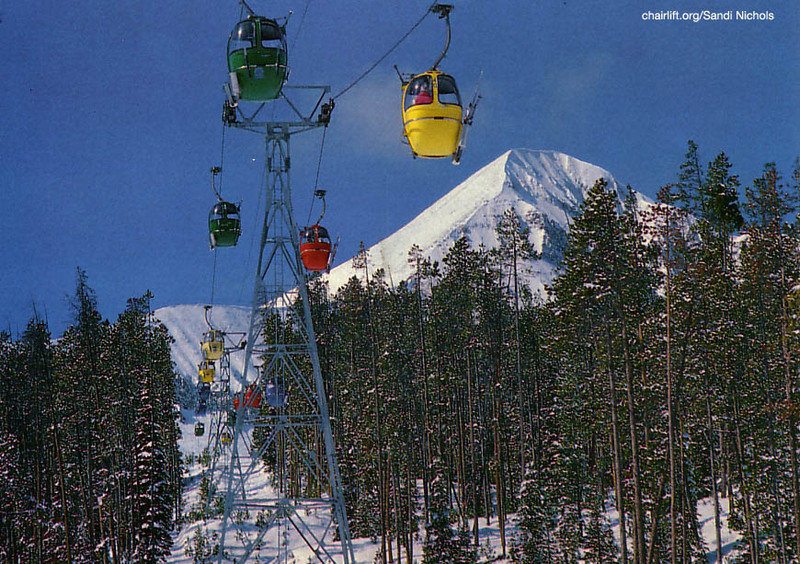 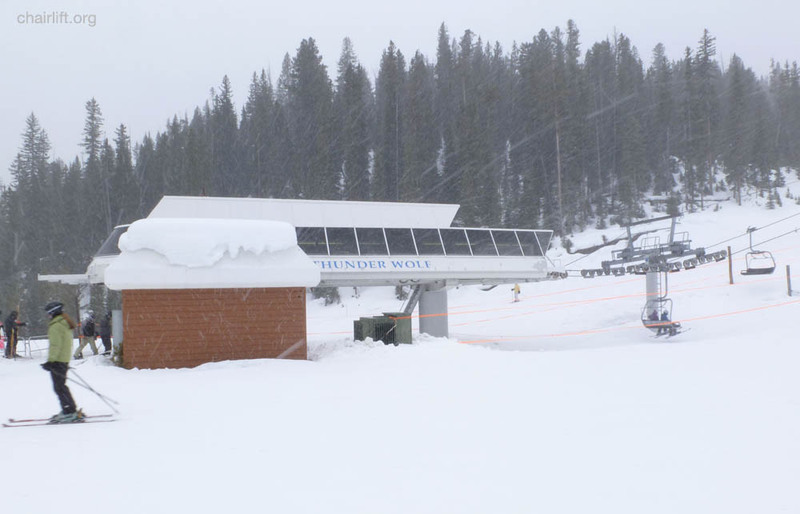 THUNDERWOLF EXPRESS (DOPPELMAYR) - Built in 1993 to replace the Mad Wolf double chair. 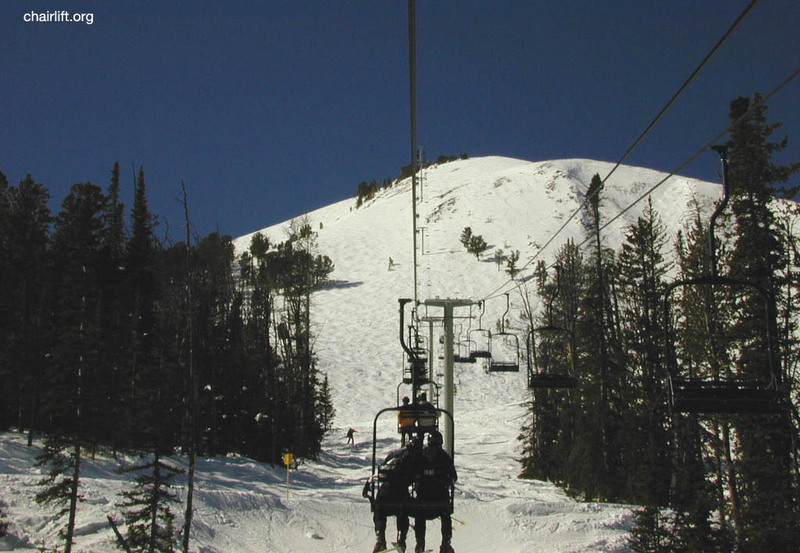 to Sugarloaf where they will be considered for a future lift on Sugarloaf. 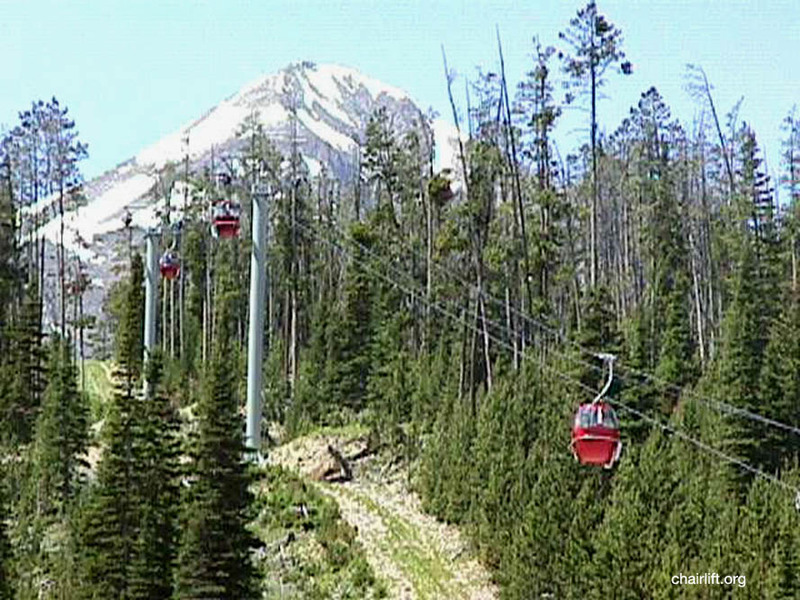 and reinstalled and relocated in 1995 as the Shedhorn Double. 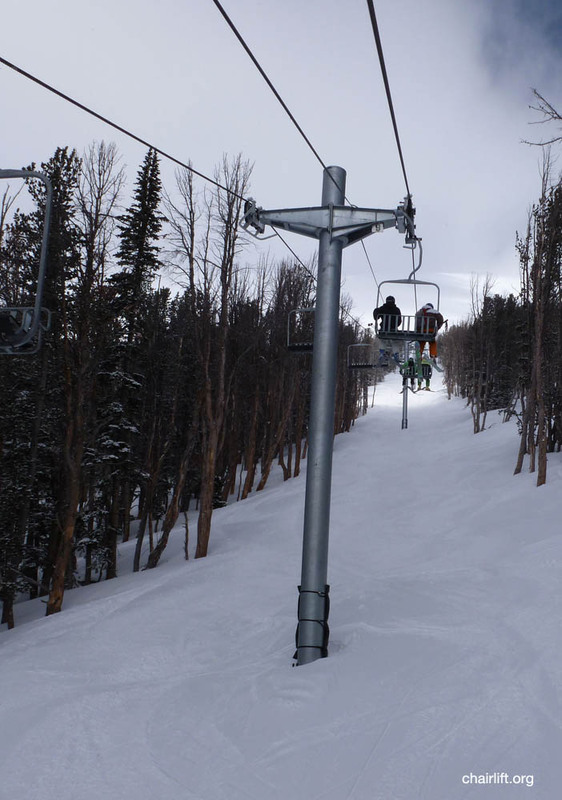 SOUTHERN COMFORT (HERON/POMA) - This used triple came from Copper, CO and was installed in 1991. 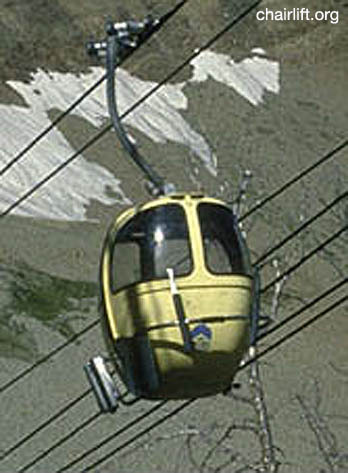 It was replaced in 2004 with a high speed quad. 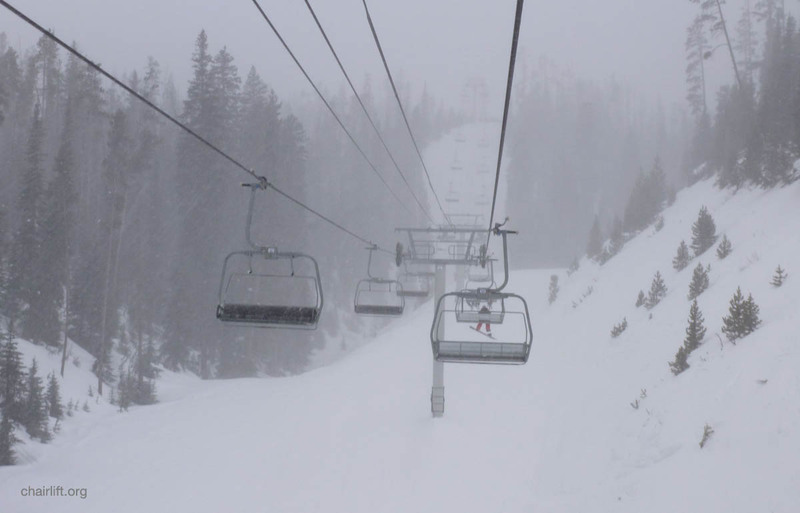 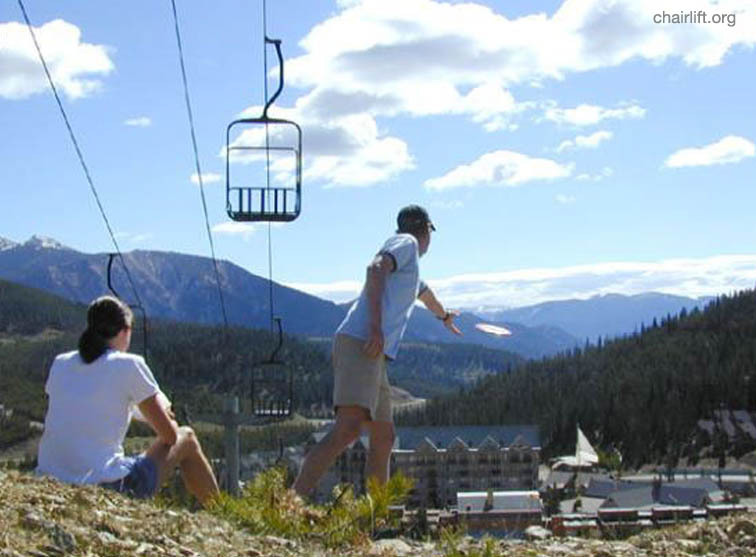 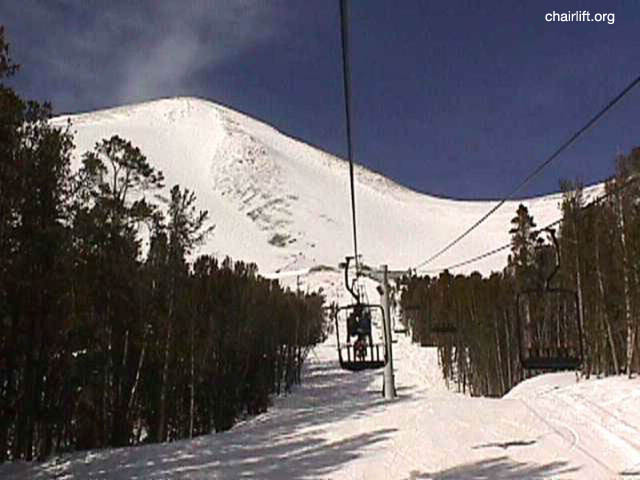 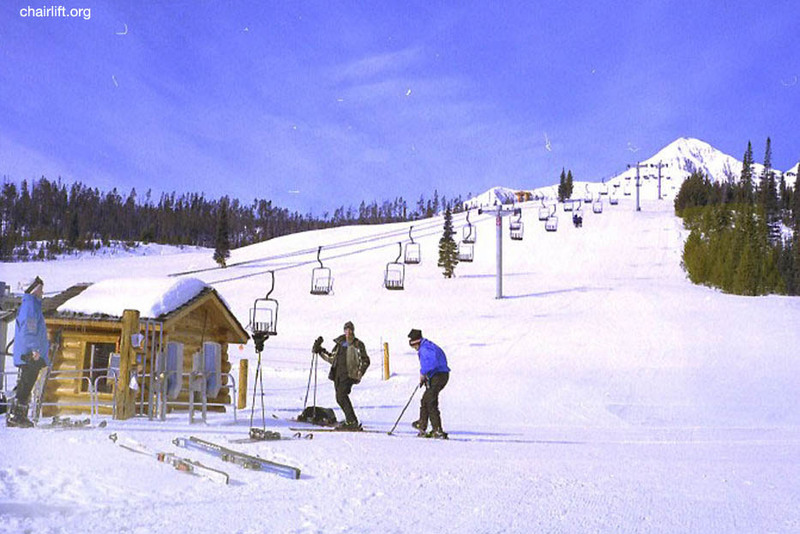 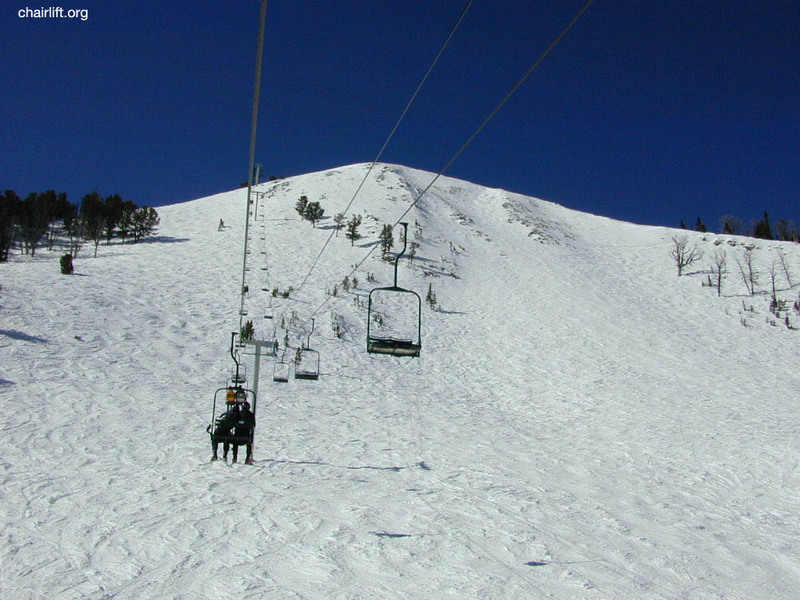 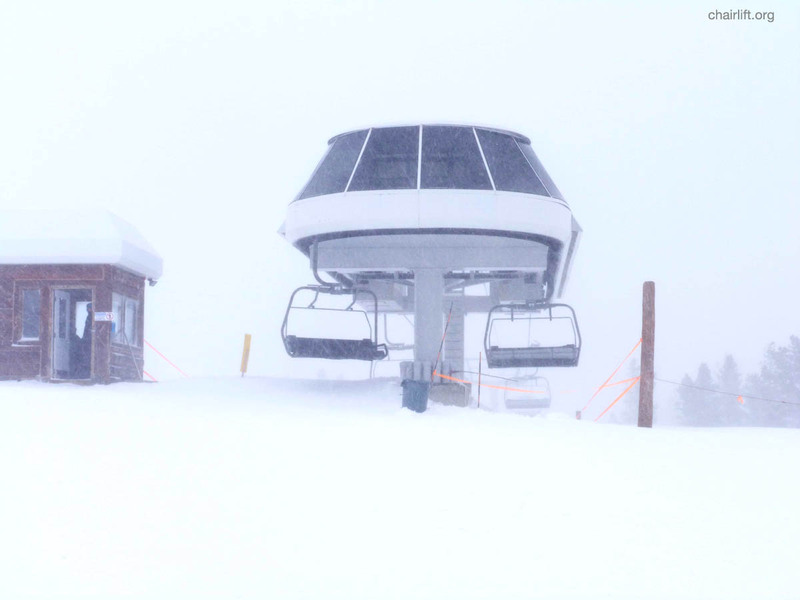 In 2007 it was rebuilt as the Dakota chair.